Two bidders went head to head at this year's The Well-Appointed Life by Salcedo Auctions. (SPOT.ph) "Selling once, selling twice, and sold!" 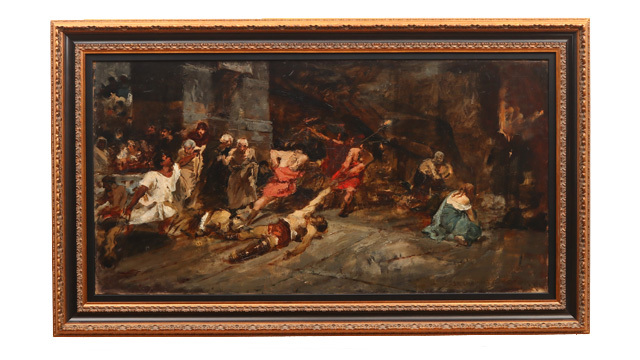 were the boisterous words of the British auctioneer Andrew Thomas as he banged the gavel on the historic sale of the supposed “Spoliarium” boceto by Juan Luna for a record P63 million during Salcedo Auctions' The Well-Appointed Life on September 22 at The Peninsula Manila in Makati City. 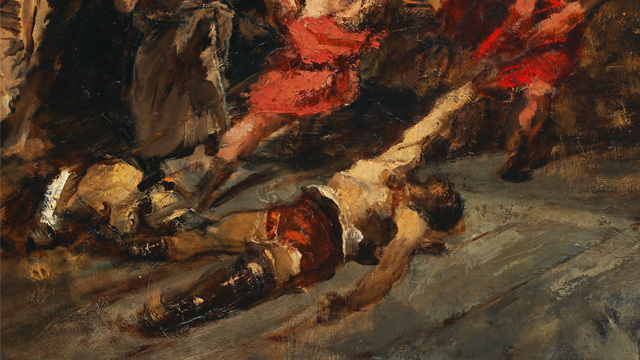 Collectors see the sale as a “marquee moment” in Philippine auctions because of the controversy surrounding the boceto’s authenticity and the question about whether a public institution like the National Museum of the Philippines should have stepped up and purchased such an important part of Philippine art history. As previously reported, the boceto was traced back to Xosé [José] Vazquez Castiñeira, who served as the mayor of the northern Spanish town of Sarria and subsequently passed it to his own heirs. It was later deduced that Castiñeira plausibly received the painting as a gift or purchased it from a certain Don Matias Lopez, a well-endowed industrialist. He later served as the commissioner for the Spanish Pavillion at the 1889 Universal Exposition in Paris, where both Luna and Hidalgo once participated in as exhibitors. As if part of a major plot twist, this narrative changed on the eve of the auction preview held on September 13. Salcedo Auctions Director Ramon “Richie” Lerma was contacted by another member from the lineage of the Vazquez Castiñeira family, whose e-mail threads were presented to the press and subsequently served as an additional note to its main catalogue. 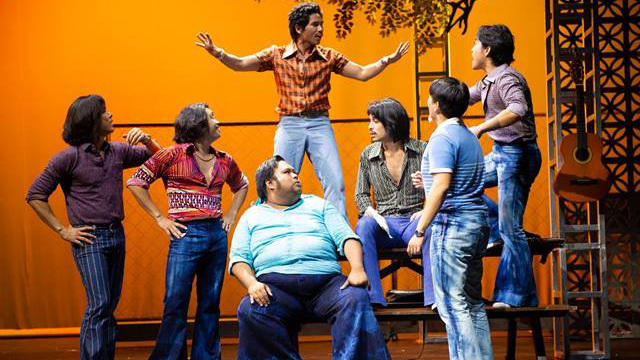 In the exchange, the family stated that in 1996, Maria Nuñez Rodriguez—a childless widow of Don Francisco Vazquez Gayoso who is the son of the former mayor—summoned her nephews and nieces into her household to be able to divide her estate. 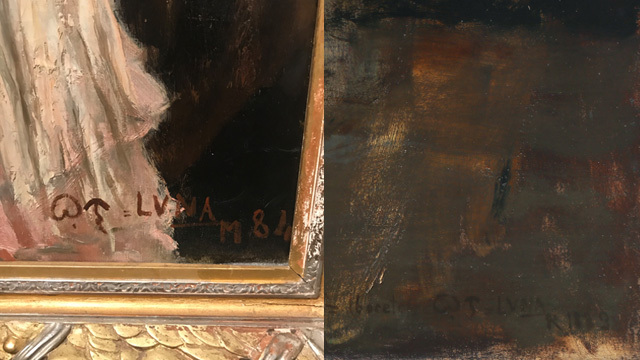 Included in the family heirlooms were an earlier version of Luna’s “España y Filipinas” (1884), Felix Resurreccion Hidalgo's "La Pintura," and the "Spoliarium" boceto. Ownership of these works were traced back to Luna’s own contemporary in the reformist movement, Pedro Paterno. He is often described as a political turncoat given his sudden overtures to those in power, whether to the ruling foreign colonizers or the fledgling yet ill-fated Philippine Republic. Yet, history often forgets that he was one of foremost collectors of Philippine art of that time, before it even became a fad amongst the cultural literati in the 20th century. His own home was decorated with objects, including Philippine ethnographical artifacts and paintings by both Luna and Hidalgo. Paterno's peers once called his apartment the Museo Paterno because of all the works he acquired from his fellow compatriots. Here, a new yet clear line of provenance was linked to Paterno’s own wife Doña Maria Luisa Piñeiro, a native of Galicia where part of the Vazquez Castiñeira family originates. This part of the clan once sold the earlier version of “España y Filipinas” at Balclis, a Barcelona-based auction house in 2012. It was then purchased by an anonymous Philippine dealer who subsequently sold the said painting to the National Gallery Singapore at the 2013 anniversary sale of Sotheby’s Hong Kong for U.S. $3.3 million. What’s even more conclusive is the fact that the same boceto was on display at the Museo Arqueologico Nacional in Madrid in 1893. The museum’s catalogue also listed Paterno as its main lender to the exhibition. It was a tension-filled Saturday afternoon at the standing-room-only event, especially when Lot 152 came up under the hammer at the Rigodon Ballroom. Among the flurry of collectors in the main hall was a congressional couple later identified as Representative Mikee Romero and his wife, Shiela. On the other side was an anonymous phone bidder represented by Lerma. The two sides sparred for 20 minutes, with bidding price starting at P25 million, then going up to a whopping P50 million. 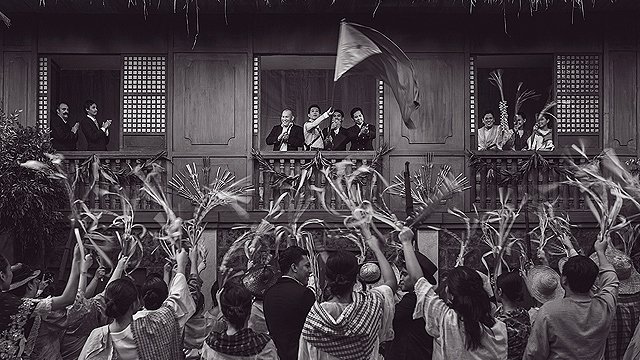 Upping the ante, the couple sent in a staggering bid of P62 million, with gasps among the audience. Then, with a silent gesture made by Lerma, a telephone bid of P63 million was called and the couple yielded—raising the white flag to end their quest for the famed Luna. With much applause, the Luna was hammered, thus becoming the most expensive work of the artist and the most expensive piece of 19th-century Philippine art ever sold at an auction. The management of Salcedo Auctions has stated that the winning bidder wishes to remain anonymous, and that they will not disclose the identity on the grounds of client confidentiality. 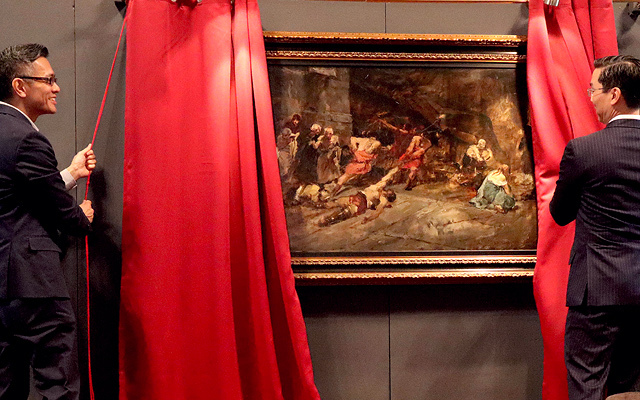 It seems that this is the last time we shall hear of the famed painting come up in the public sphere, but as this mystery draws to a sudden, and rather anti-climactic, close, Luna’s original masterpiece will continue to be in the minds and hearts of Filipinos everywhere, regardless of the price its study has fetched under the hammer. For more information, visit Salcedo Auctions' website.